The Cook Commons Office is located on the first floor of Battell North. Cook's Dean's Office is located within this area and in close proximity is the Cook Faculty Head. Battell North first and second floors, and Battell center second floor is home to Cook's first year students. Cook sophomores live in nearby Pearsons Hall or Forest Hall West - known simply as Forest West. 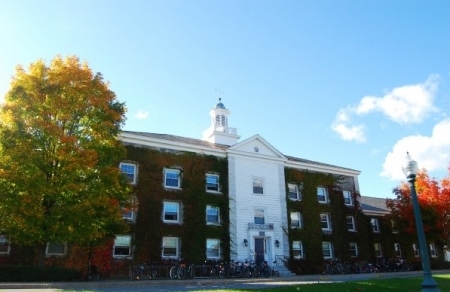 Cook Commons is a vibrant community of students within the Middlebury College Commons system. 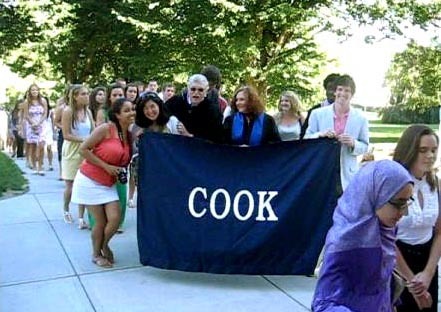 Cook activities, planned by students for students, offer both social as well as intellectual enjoyment and challenges. We are known to push the envelope, make you think, and provide opportunities where the social and intellectual collide.